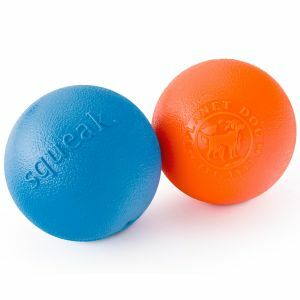 The Busy Buddy Chuckle by Pet Safe is one of the most unique dog toys available. Designed for dogs over 20lbs. 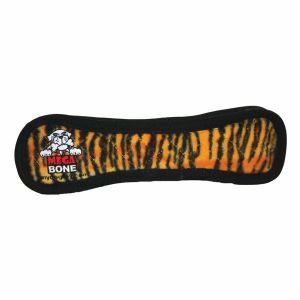 The tough rubber shell makes it durable, even for the strongest chewers, and the unique treat meter dispenses treats randomly to a unique "chuckle" noise that will have your dog begging for more! Perfect size toy for Border Collie, Bulldog, German Shepherd. 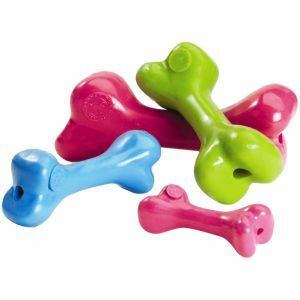 The Busy Buddy line of treat dispensing chew toys are designed to keep your pet busy with good things to chew! Each Busy Buddy toy is made with a different and unique chewing experience in mind and helps redirect potentially destructive chewing behavior into positive playtime. 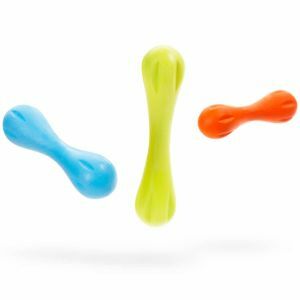 Treat Spot Either end of the Chuckle has inner-facing, soft, adjustable rubber prongs that move aside to allow the toy to be stuffed with kibble or treats. The prongs of the Treat Meter allow food and treats to randomly dispense, rewarding your dog as he plays. 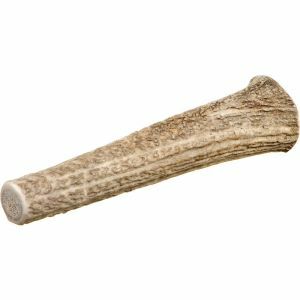 This interactive dog toy is a dog favorite for sure! 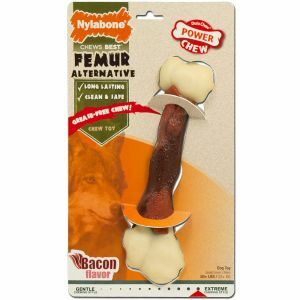 And it doubles as a tough chew toy - even for the most serious chewers!